It probably comes as a surprise to many that Kim Jong Un was never on the U.S. sanctions list for North Korea. That changed on Wednesday when the State Department him by name along with a handful of other government departments and individuals. The inclusion is more symbolic than anything else. It wasn’t as if Kim Jong Un was previously doing lots of business with U.S. companies, so what’s likely to be the result? It will certainly upset the North Korean government and media as it’s something of a public slap down for Kim Jong Un, but beyond that will anything change? That’s a question correspondents at the State Dept. 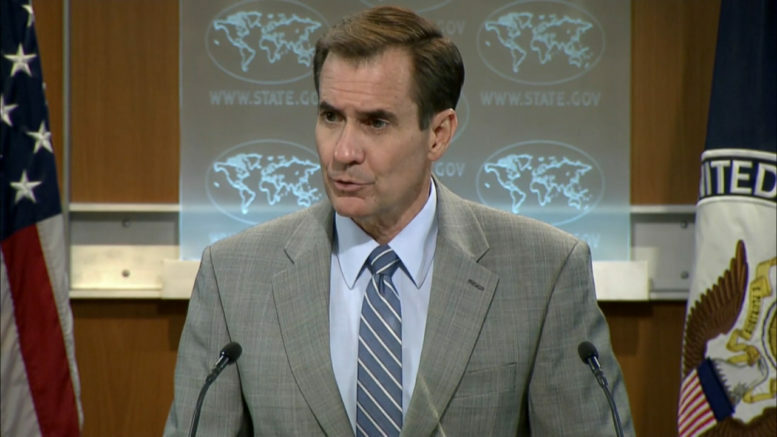 had on Wednesday for spokesman John Kirby. He indicated the addition to the list was more about doing business around the world than the U.S. After all, if a foreign financial institution is found to be working with anyone on the U.S. sanctions list, that institution can be blocked from the U.S. financial markets. He also said he believed there was a power in naming individuals as it highlighted their identities and the roles they play in the ruling regime and what it’s doing to the North Korean people.